The house and garden are meat/fish-free. 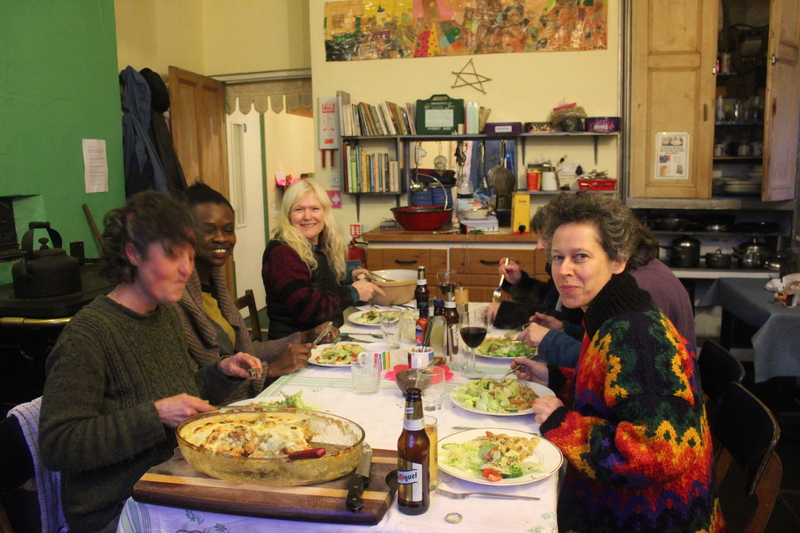 The Women’s Holiday Centre is self-catering and the price of your night includes everything you need to cook for yourself (food provided) at any time that suits you. There is an electric cooker with an oven, a breadmaker, a deep fat fryer, a blender, a toaster…and loads of pots, dishes and pans. A wide variety of vegetarian and vegan food is available, and some gluten-free foods, which is included in the cost of your stay. (Please add a donation if you eat lunch or an evening meal on the day of your departure) and there are also many cook books in the kitchen for you to use. We try to encourage healthy eating, so tinned/processed food is often limited to tomatoes, sweetcorn, kidney beans and baked beans, but you are welcome to bring any food of your own. There are always plenty of vegetables, feel free to contact the workers to clarify any preferences you have. Your deposit is crucial for having enough food in the house and the unpredictable nature of the demand for fresh food can lead to a lot of waste, so please contact us if you have to cancel and can no longer visit so we don’t get too much food! 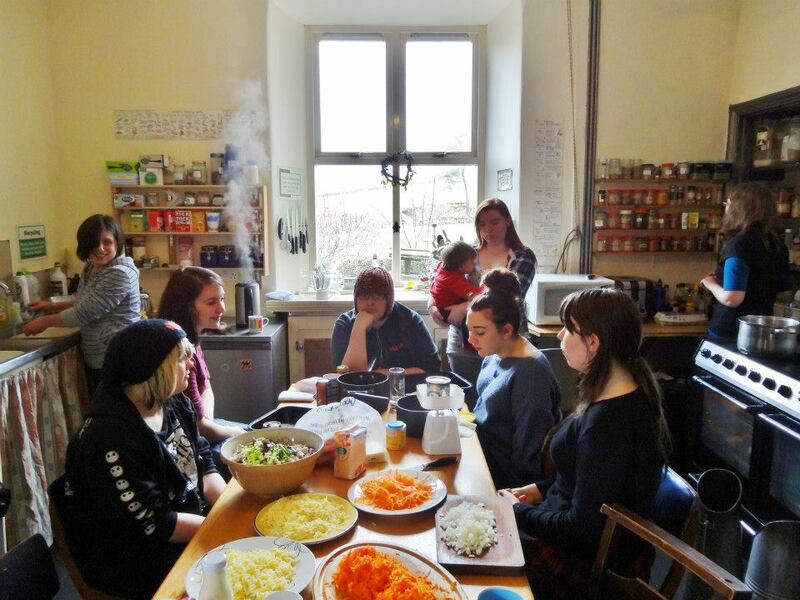 Often visitors cook and eat together and occasionally some women will volunteer to cook for everyone! These arrangements are co-operative and informal. We also have a number of vegetarian cookery books for inspiration! Children are welcome to cook at the house, as long as they are supervised with sharp utensils. We encourage women to be allergy aware, but as it is a shared house this can be hard. Please let us and other guests know about any allergies you have, and contact the centre before you come about allergies, or dietary needs.